The leaked statement from the ACX Crystal's Captain is an easily disproven lie. "The container ship steered hard to starboard (right) to avoid the warship, but hit the Fitzgerald 10 minutes later at 1:30 a.m."
-Tim Kelly, Reuters, paraphrasing the Captain of the ACX Crystal. Tim went on to say "Reuters was not able to independently verify the account" I'm not sure if that's akin to saying he didn't have time to look it up, or they could find no evidence to support the claim. In such cases I'd really rather they say flat out that the statement is a complete fabrication based on the available evidence, as is the case here. Please review the MarineTraffic.com derived data I published on June 17th (in this blog post) and I have included below again. Each dot can be clicked on for the precise time, position, and speed of the ACX Crystal. For a blow-by-blow description of the events (as I interpret them) from the AIS data, please see my previous blog post. From the data below it is clear to me the statement from the captain of the ACX Crystal is complete fiction, and quite possibly the actions of someone who knows they are guilty of gross negligence causing the death of 7 American sailors. There is no missing 10 minute chunk of time before the collision at 01:30am(16:30Z); I believe his statement is completely made up to try and save his own hide. I maintain that there is no evidence to suggest anyone was on the bridge between 01:30am(16:30Z) and 01:46am(16:46Z). It took ~16 minutes, after the collision, for someone to turn off the autopilot and start to slow the ACX Crystal down before a hard turn to port, making a "U Turn", and heading back to the site of the collision, and making the initial distress call on behalf of the USS Fitzgerald at ~2:25am(17:25Z). Below you have the MarineTraffic.com AIS data, on a Google Fusion Tables generated map, that you can draw your own conclusions from. For a blow by blow description of these moments my June 17th blog post is holding up pretty well to the test of time, so far, I think. Additional details about the ship reported by MarineLog.com confirm the captain's name, that there were 20 crew, and ship's specifications. Also of note; the ship was relatively new, built in 2008, therefore would be outfitted with modern navigational radar and communications systems. I mention this because there's such a variety of ships on the sea, it's worth noting this is one of the more modern ship, not an old rusty hulk with a consumer-grade GPS leaning on the window. USS Fitzgerald (DDG 62) was involved in a collision with a merchant vessel at approximately 2:30 a.m. local time, June 17, while operating about 56 nautical miles southwest of Yokosuka, Japan. The merchant vessel was the Filipino-flagged ACX Crystal container-ship (IMO:9360611) and she did have her AIS transponder on at the time of the incident. From the news footage below you'll notice an area of severe damage which looks to me to be from an impact at a perpendicular angle, and not a grazing strike, since there is no scraping or dragging down the length of the USS Fitzgerald. I'm not suggesting the impact was deliberate, only that the vessels would have deflected if they had hit with a glancing strike, where to me it looks like the bow of the Crystal embedded itself for a short period in the USS Fitzgerald. I originally thought the USS Fitzgerald was stationary before the impact, but I've since changed my mind, since I've been told that there would be no operational reason to be stationary near an area of high traffic, on a moonless night. Valid point. Then if she wasn't stationary, why was she crossing the path of the shipping lane and how didn't they notice the 30,000 Ton ship on a collision course with them? I have provided a Google Fusion map below, and linked to the original source data that might be useful to you if you want to do a deeper investigation into the original story yourself. The data looks a little confusing, so watch the video to get an idea of how the strike happened. The colour coding is to show the speeds of the ACX Crystal when moving. Red is almost stopped, Green is full speed ahead. From a discussion with JJ I think the UTC/JST conversion may have been messed up, or the reported time by the US Navy and Japanese Coast Guard was not representative of the time of the collision, only when the collision was reported. I doubt anyone in the US military would mix up time zones, since they're very accurate regarding time. The US Navy press release reports the incident happened at 2:30am "LOCAL TIME", which is Japan Standard Time or JST, and which is UTC+9. The AIS data I scraped from MarineTraffic.com shows accurate to-the-second (or less) data, so that is what I can rely on for accuracy. Could the ACX Crystal have hit the USS Fitzgerald at full speed just before 16:30Z, rather than ~17:30Z as the US Navy said in their press release? I think so. With that in mind, watch the video again. Did the ACX Crystal strike the USS Fitzgerald while on a 70 degree course before 16:30Z, then while on autopilot, correct itself after the USS Fitzgerald was knocked free? If so, it took another hour for the crew to figure out what happened, turn the ACX Crystal around, and return to the USS Fitzgerald - it's unclear if they even knew what they struck. JJ suggested maybe the time the accident was called in was ~2:30am JST, but the strike had happened earlier. This makes significant sense to me, and explains the "U turn" they performed, especially if you realize the impact was one 30 minutes before the u-turn. Those who know my blog will not be disapointed; of course I want to show you the minute-by-minute account of the ACX Crystal's journey and try and tease out what we can from it. Above you have the AIS data from what I believe covers the entire horrific event, and the ACX Crystal leaving the scene of the collision. Yes. LEAVING the scene, only to return an hour later. I'll get back to that. I believe this shows that 1) nobody was on the bridge of the Crystal and 2) "Iron Mike" was in controls for a full 15min *after* the collision; see item 1. There have been no reports that any distress call went out until after the ACX Crystal came back at 17:30Z, an hour after the collision. Some people hate analogies, but here's one anyway. If you were in the driver seat of a self-driving car, hit another car, and your self-driving car kept driving along the road... how long would it take you to hit the off button? Well, it took the crew of the Crystal, who I'm positive were not on the bridge, 15 minutes to find the autopilot off button. Either they were very disoriented by the impact, or they weren't on the bridge to begin with, and had to get up to the bridge in order to shut down the autopilot. All is well, the ship is on a 70° course, sailing at a fast 18.5kn. Course is now +65° off original, and speed is down to 11.2kn. Something is clearly wrong, the collision has likely happened, and the 30,000ton container ship has been spun 65° off course by the impact or thrust of the USS Fitzgerald's engines. It gets weirder. Speed is back up to 14.6kn, and the ship is coming back on course, now "only" +48° off her original course. Did the ACX Crystal spear the USS Fitzgerald, and just shake it off? That's right, after smashing into another ship, the 30,000 ton container ship is swinging around and increasing speed. If anyone was at the helm, this would not be happening. Course corrected, back on a heading of 70°, speed is up to 15.3kn, and the ship is steaming away from the accident. It's been ten minutes since the collision, and nobody has disengaged the autopilot yet. How do I know? Because they haven't reduced speed or turned around. Course corrections, but still no slowing down, now up to 15.4kn. How far are the crew quarters from the bridge on that ship? While the ship has slowed to just under 13kn, it still hasn't turned around. The Crystal is turning hard and has slowed somewhat. The Crystal has turned completely around and is doing ~13kn toward the location where they hit "something". I don't think anyone aboard the ACX Crystal knows by this point what they hit. There are no reports that any distress calls by this time. There has been no suggestion they called the Japanese Coast Guard by this time for any information either. What did they think they hit? Over an hour after the initial collision. The US Navy reported the accident happened around this time. I believe what they meant was the distress call was received by the Japanese Coast Guard around this time, because it would be unthinkable that you, a 30,000 ton container ship, would collide with another ship, and not mention it to the Coast Guard, for an hour? There is a 14 minute gap that I can't explain, did they turn off AIS? From this time forward, regular updates keep coming in at 2-3min intervals. Speed and course changes seem to suggest they were looking for survivors or trying to otherwise assist. In conclusion I have absolutely no idea what happened out there; I'm trying to think through the story with the available evidence and string it together. By my understanding of the events I believe there was nobody on the bridge of he ACX Crystal at the time of the collision, and for ~15 minutes afterwards showed no signs of being manned with anyone on the bridge as the course auto-corrected, and increased speed, moving way from the impact site, trying to come back up to the original speed. The damage on the bow, below the water line, slowed the ship down from it's original 18kn due to drag. Knowing when the Japanese Coast Guard was called is a detail that has not been revealed yet, and we all know there's a recording of it out there somewhere. I'll update as I find out more, or more evidence is revealed. Tracking the Royal Canadian Air Force by transponder. I'm not a serious plane-spotter. I'm not a serious amateur radio guy. I'm not ex-RCAF or a Canadian Forces veteran. However, I do have an appreciation for the military and technology, and use it for my research; so I wanted to share what I know with you, as well as write it down for my own future reference. Commercial aircraft use ADS-B transponders to identify their location to other aircraft to avoid collisions; you can read up on the technology and history here. Military aircraft, from my understanding, have ADS-B transponders, but do not use them when they are operational, since it would give away their location. Additionally, some planes seem to use some features of the transponder, but not others; so you could have a plane that is beaconing coordinates, but not altitude, for example. This is an effort to obfuscate the information from evil-do'ers. When a plane isn't transmitting its coordinates, MLAT (essentially triangulation) is used to estimate the plane's location if enough amateur radio receivers can pick up the signal of the plane. The likelihood of that increases as the plane increases its altitude, since it can "see" more of the earth's surface from higher altitudes (the earth is round, eh). But how do you, sitting at home, watch these planes' transponder signals? There are several commercial providers, businesses, that for a small monthly fee, will allow you to track commercial, and some military, planes. FightRadar24.com, PlaneFinder.net, and surely many others. I have used them, and I do use them, but they have a small problem. They're commercial businesses, and the militaries of the world are pretty smart; they have asked these businesses, to avoid any trouble, to NOT display their aircraft. To censor their feeds, so people can't see military aircraft flying over their houses. The military does so under the guise of Operational Security, OPSEC. I respect the idea of OPSEC, but in this case it's likely not the reason to deny the public this information, since they are emitting the signal to begin with. If the issue was truly OPSEC, they would turn the transponder completely off, as they actually do when they are conducting operations in a war-zone. The military doesn't want you asking questions about their air movements, and censoring the data commercially available, that they are blatantly broadcasting for anyone to hear with the right equipment, ensures you don't know what they're doing, and ensures you can't stay informed. Except... There is a crowd-sourced web site, which isn't a commercial enterprise, called ADSBExchange.com. They run on a shoestring budget, and the reporting servers are down sometimes, but overall the system works. 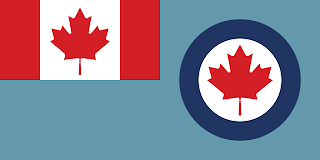 The following links will show you reports of the Royal Canadian Air Force's planes that have been caught by people triangulating, or receiving, ADS-B signals from Canadian military planes, worldwide. It seems these queries will only work when the system isn't under a lot of load. I find that early in the morning I have a better chance for these reports to work.